The most comprehensive IPO watchlist and recent listing scorecard covering the Australian Stock Exchange (ASX). 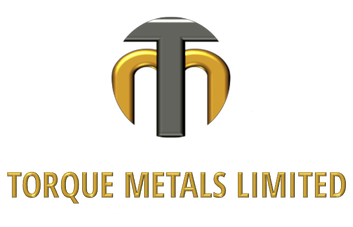 Live IPO - Torque Metals Limited. Torque was incorporated on 16 August 2017 specifically to explore and, where considered economically positive, to develop gold mines in, and around, the historic gold province centered on the town of Bullfinch, which lies approximately 40 kms North of the town of Southern Cross, midway between Perth and Kalgoorlie in Western Australia. Torque recently concluded the purchase of a number of contiguous mineral tenements (aggregating approximately 405 km2 ) from Talga Resources Limited. It has subsequently applied for and was granted an adjoining Exploration Licence (EL77/2522) to the East of the Talga ground, covering an area of approximately 210 km2 . The Company, therefore, has 100% ownership of 615 km2 of the highly prospective Bullfinch gold province. The purpose of the capital raising under this IPO is to raise a minimum of $4,500,000 and a maximum of $7,000,000 (before costs). The proceeds of this capital raising are intended to be applied primarily towards evaluation and exploration of the Bullfinch project, as well as administration, administration and general working capital and corporate overheads. Live IPO - Yandal Resources Limited. Yandal Resources has acquired a 100% interest in a significant number of strategically located tenements in Western Australia which are prospective for gold. The Yandal Greenstone Belt had minimal exploration until the early to mid-1980s and it was not until the early 1990s with the discovery of the Bronzewing and Jundee gold systems that the belt was considered fertile for large gold deposits. The Ironstone Well, Barwidgee and Mt McClure Projects are located within the Yandal Greenstone Belt to the southeast of Wiluna. Since the Bronzewing gold discovery in 1992, the Yandal Greenstone Belt has had modern exploration by various exploration companies. Review of recent and historic exploration and historic small-scale mining activities within the Project area has identified several drill targets being extensions to existing gold mineralisation together with identifying multiple additional early stage exploration targets. Live IPO - HeraMED Limited. HeraMED (ASX:HMD) was incorporated in 2011 in Israel as a technology start-up developing innovative, connected pregnancy monitoring solutions.Its first commercial product, HeraBEAT™ is a medical-grade, clinically validated fetal heart rate monitor mainly for home use. Today, fetal heart monitoring is a standard part of every pregnancy check-up, but current technologies are expensive, bulky, limited and designed for professional use only. The result is that pregnancy monitoring almost always requires a clinical setting, a nurse or doctor to conduct the measurement and the careful attention of a trained obstetrician-gynaecologist for a subjective, time-consuming, visual interpretation of FHR pattern recognition and assessment. HeraMED’s aim is to become a world leader in innovative, accessible, technology-driven products which change the way practitioners and expectant mothers approach and monitor the miracle of pregnancy. Canterbury Resources Limited (ASX:CBY) is a mineral exploration company that is seeking to create shareholder value by generating, exploring and monetising potential large scale (“Tier 1”) copper-gold projects in proven mineral belts throughout the southwest Pacific region — a region that hosts numerous world-class copper and gold deposits. Since inception in 2011, Canterbury has built a well-balanced and highly prospective portfolio of resource opportunities in Papua New Guinea, Queensland and Vanuatu. Successful exploration and assessment activity at several of these projects has been advanced to the exciting drill testing phase — with drilling programs being implemented at three separate projects during the remainder of 2018, and further drilling planned during 2019. Live IPO - XS Resources Limited. XS Resources (ASX: XS1) is focused on delivering shareholder value through the identification, development and acquisition of mineral exploration properties across the precious metals, base metals and the industrial metals spectrum. The core strategy of the company is to advance the projects and undertake further exploratory activities focusing on the Gibsons Prospect at Halls Peak and around an historic mine at Spanish River. The projects are all of early stage potential – however, with historical mining and exploration activity located within the project areas and in close proximity within the region of both projects, the company considers that each has strong economic potential. The most comprehensive watchlist of upcoming IPOs and recent floats on the Australian Stock Exchange (ASX). A complete list of upcoming floats & the current performance of recently listed IPO's. Do you have a specific question? Drop us a line and we'll be happy to discuss. GENERAL ADVICE: This publication is general information only, which means it does not take into account your investment objectives, financial situation or needs. You should therefore consider whether a particular recommendation is appropriate for your needs before acting on it, and we recommend seeking advice from a financial adviser or stockbroker before making a decision. PERFORMANCE: Past performance is not a reliable indicator of future performance. The value of any investment and the income derived from it can go down as well as up. Never invest more than you can afford to lose and keep in mind the ultimate risk is that you can lose whatever you've invested. The member pages may contain material provided directly by third parties and is given in good faith and has been derived from sources believed to be reliable but has not been independently verified.